Appealing country home of 24sqs of living and 40sqs under roof set on 10 acres overlooking the Merrijig Valley. The brick home comprises 4 large bedrooms and 2 bathrooms. Big country kitchen with adjoining living separate dining and spacious lounge room. Wide verandahs surrounding the home, double garage under roofline plus lockup shed & good reliable dam. The recent addition of a new three bay machinery shed with full concrete floor, water tank and separate gravel drive add a dimension that will more than satisfy any storage, trade or hobby requirements. Beautiful trees frame the home with a massive array of mature Native & European trees. 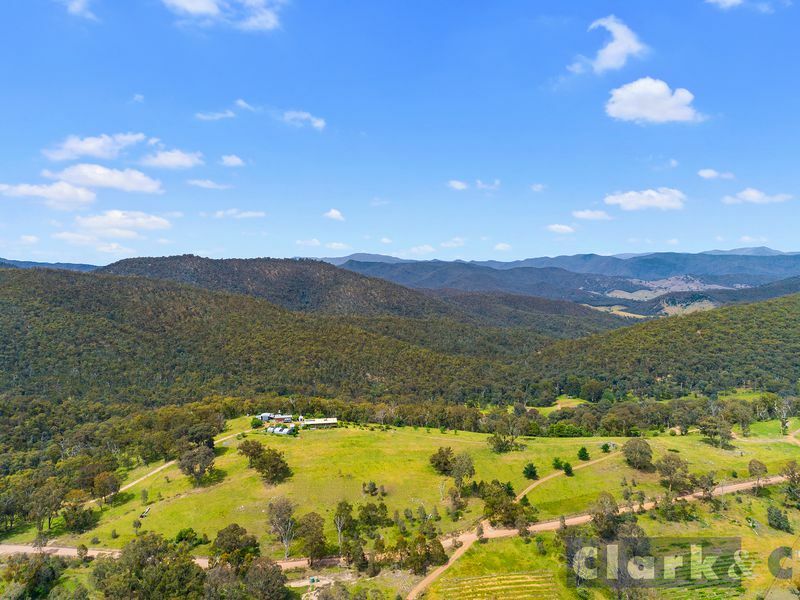 A short drive to Mt Buller, Delatite River and the High Country. Make a time to inspect .